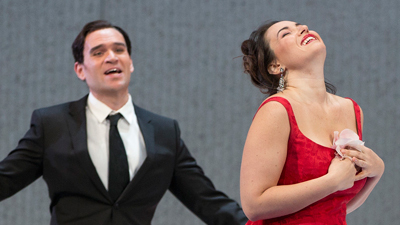 Ileana Cotrubas is stunning as Violetta, the glamorous courtesan who gives up everything for love. Her portrayal is filled with countless little touches that make even the most familiar role seem totally new, and audiences suffered with her plight, and wept at her death. 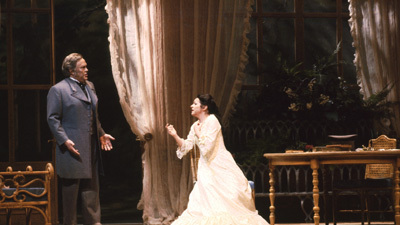 Plácido Domingo’s golden, seductive voice would make any woman want to run away with him, and Cornell MacNeil is his stern but understanding father. James Levine's nuanced conducting is sublime.